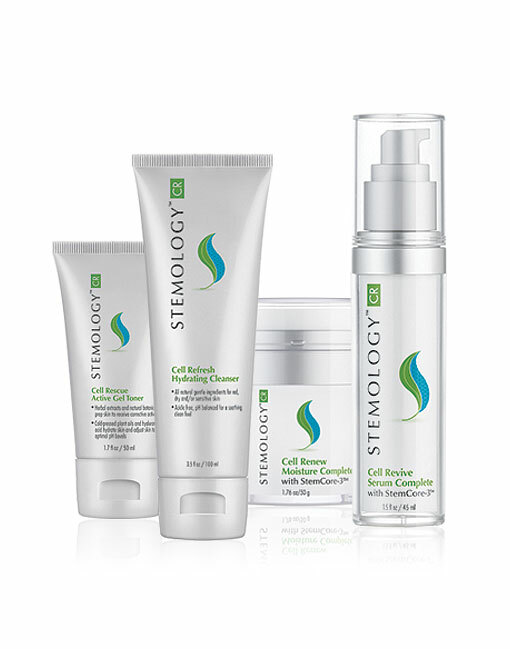 Stemology™ skincare is the first and only skincare brand to bring together both human, adult and plant stem cell technologies — incorporating the superior features of each — along with a stem cell communicating agent that greatly enhances cellular communication to maximize the benefit of stem cell “signaling” growth factors. Known as “The Skin Care Makeup”, the Jane Iredale line is recommended by plastic surgeons and dermatologists throughout the world. Jane’s line is a highly sophisticated blend of minerals and pigments that are micro-pulverized, using proprietary technology and processes to form microscopic flat crystals. These crystals overlap each other on the skin to form a filter that allows the skin to breathe and function normally while blocking airborne pollutants. The minerals are so powerful that they rarely need a touch up during the day. And because they are water-resistant, the powders won’t crease or smear even during the most strenuous exercise. LATISSE® is a prescription treatment for hypotrichosis (inadequate or not enough lashes) to grow eyelashes longer, fuller and darker. This product was discovered when glaucoma patients were using a drug called Lumigan to stave off blindness. All of the sudden they noticed that their eyelashes started growing at an unusually fast rate. The company Allergan (the manufacturers of Botox) caught wind of this and harnessed the chemical that kept these patients eyelashes growing. 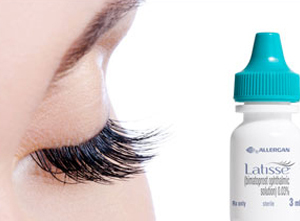 It is FDA-approved and safe for most people to apply on a daily basis to achieve beautiful, youthful looking lashes. It’s a great alternative to lash extensions and false lashes which can actually pull lashes out due to the stress on the follicle. Breakthrough Oxygenetix post procedure moisturizer and makeup helps cover, heal and minimize post procedural scars. This breathable skin care line contains medical-grade ingredients to help stimulate cell growth and rebuild collagen while soothing stressed skin and minimizing scarring. As a full coverage foundation, Oxygenetix not only heals but also camouflages a variety of skin conditions and issues such as wounds, rashes, injuries, scars, dry skin and rosacea. 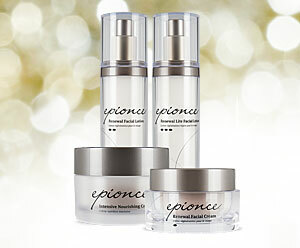 Designed for doctors, this revolutionary skin care line is available only through physicians and medical professionals. Oxygenetix offers the best foundation makeup and the best face moisturizer for stressed, irritated skin post procedure. SENTÉ is the first and only product line in the aesthetic market that contains patented Heparan Sulfate Analog (HSA) technology, a bioengineered low molecular weight heparan sulfate modified to improve the appearance of mature or prematurely aged skin. Founded by biotech entrepreneurs and scientists, SENTÉ is a leading aesthetic company pioneering glycosaminoglycans (GAGs) science in skin care. SENTÉ combines grassroots in biotechnology with pharmaceutical rigor in the development of skin care formulations. They collaborate with leading academics, scientists and physicians for breakthrough anti-aging products. 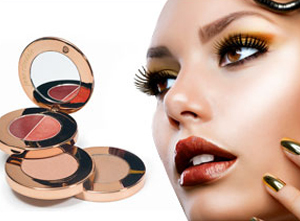 At Pure Gold we offer a skincare line specially formulated and approved by Dr. Apodaca. Some of the products include but are not limited to Advanced Skin Brightening, Vitamin C, Acne Repair Cream and Broad Spectrum SPF. We believe that great skin can be maintained in between aesthetic treatments with our medical grade skin care line. 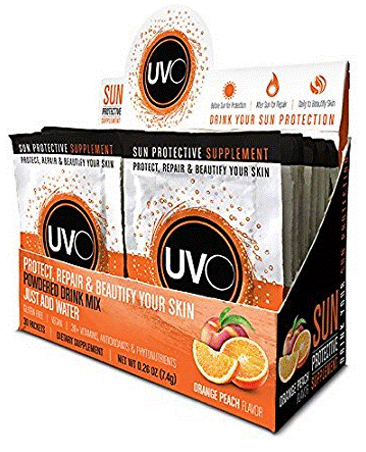 UVO is the world’s first vitamin that you can drink. It protects and repairs skin from the sun’s harmful UV rays. 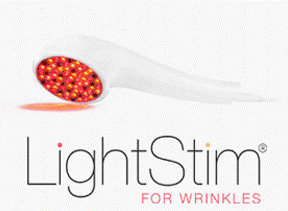 LightStim LED therapy delivers light energy in a similar way plants absorb light energy from the sun. It emits UV-free, beneficial light rays that energize cells and stimulate the body’s natural process to build new proteins and regenerate cells.